This year’s keynote speaker Toyoharu Kii is based in Tokyo Japan. In June and July of this year he exhibited in Chicago and taught at the Chicago Mosaic School. He works mostly in marble and produces monochromatic works show interesting textures and andamento. 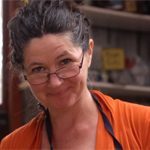 Helen Bodycomb has been a full-time mosaicist and a specialist in the contemporary interpretation of classical mosaics for more than 20 years, and is currently completing a PhD in visual art by practice-led research with La Trobe University. Helen’s PhD research project is titled ‘The Material and The Immaterial’ and is an investigation into the application of classical mosaic methods in contemporary works, with a particular focus on memento mori. Rachel Bremner is a Tasmanian mosaic artist with a studio based practice at her home in Oyster Cove. 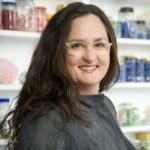 She is well known both in Australia and internationally for her contemporary abstract mosaics made using traditional tools, materials and techniques. Rachel’s studies have included courses with the finest artists in Italy, France and the US including with Italian master Verdiano Marzi. She has exhibited in those countries and in Australia has gained many prizes and awards, including support from Arts Tasmania. Her work has been featured in ‘Craft Arts International’ and internationally distributed ‘Mosaique Magazine’, for which she is the Australian correspondent. Rachel shares her knowledge through workshops including at The Sturt Craft Centre. She is a member of MAANZ and AIMC (Associazione Internazionale Mosaicisti Contemporanei). Rachel is also well-known as a concert violinist, being a past member of the Tasmanian Symphony Orchestra. Kate is a mosaic artist living in Bungendore, Southern Tablelands in NSW. A trained sociologist and researcher, Kate has spent the last two decades designing and evaluating population health and social welfare programs. 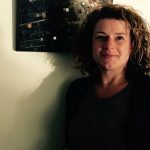 To supplement her minimal formal training in the visual arts, namely doing a feminist art history unit for a Masters degree, she undertook several intensive mosaic workshops with Emma Biggs at West Dean College of Art, UK. Her recent mosaics, with their distinct textural laying style, convey her responses to current unprecedented levels of environmental, economic, cultural and social transformation. She has exhibited in Australia and USA. Wendy is a self-taught mosaicist, learning her techniques through books so that she could mosaic the bathroom in the house she was building. Wendy is well known for large sculptures, which are comprised of mainly handmade components, shaped and impressed ceramic, fused, slumped and cast glass. Living in southern Tasmania’s D’Entrecasteau Channel, her home is surrounded by native bush that provides abundant inspiration for her sculptures. Wendy keeps body and soul together through private and public commissions and mosaic workshops. An experienced visual artist, trained at Hobart College and Adelaide Jam Factory Ceramics Workshop, South Australia. 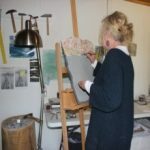 Kate has worked across many art forms from ceramics, oil painting, fabric and works on paper. In 2011, she teamed up with Kristin Wohlers in Barossa Mosaic to expand her practice with the art of mosaics. Her individual work and collaborative pieces are based on her drawings and designs of local native birds and made from a range of materials from local natural stone, smalti, ceramic and glass tiles. Through her artwork Kate aims to raise awareness about the importance of biodiversity towards a sustainable environment. In 2015 Kate joined Thehundredmilehome as designer, mentor and maker of a range of ceramics. This venture is committed to the principles of sourcing materials within a one hundred mile radius to make eco-ethical designed homewares, which supports the philosophy of an environmentally sustainable and socially responsible way of living. In 2014 Lea completed her second residency in New York at SVA (School of Visual Arts) NatLab (Nature and Technology laboratory) in Manhattan she holds a Master of Studio Arts and a Diploma of Fine Art. Her 2015 solo exhibition Colliding Worlds at the Hazelhurst Regional Art Gallery, followed her work being shown in an SVA Alumni show at the Flatiron Building in Manhattan and at the NYABF at the MOMA annex PS1, New York. 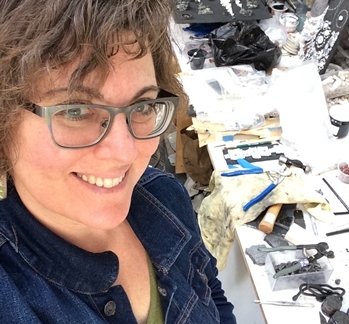 Seattle-based visual artist Kelley Knickerbocker left a 22-yr administrative career at the University of Washington in 2006 to found Rivenworks Mosaics, where she designs and fabricates mosaic artwork for public, commercial, residential and gallery environments. Kelley’s ruggedly dimensional mosaic artworks are a textural distillation of her fascination with contrast, material properties and the technical challenges of mosaic construction, and garnered her the 2015 Innovation in Contemporary Mosaic award from the Society of American Mosaic Artists. Her work is widely collected and regularly exhibited in the US and abroad. In addition to her studio practice, Kelley travels extensively speaking, collaborating, and teaching in-depth workshops on mosaic style and technique. Cetta Pilati is a visual artist known for her marble mosaic creations. She completed her Bachelor of Fine Arts (majoring in Sculpture) at RMIT University, in Victoria in 1992. Her university works were predominantly made from steel, wood and glass and it was during this time she was introduced to mosaic as an art form. In 2007 her Italian heritage took her to Ravenna Italy where she studied traditional methods and approaches to mosaic art making. It was here her passion for marble began. Cetta’s mosaics are notable for their tactile nature and for the gentle and considered placement of the natural earthy coloured marble. Her pieces hold a forgotten simplicity, a quietness and yet a sense of innate strength which emanates from her application of the traditional mosaic methods. Her inspiration comes from her inner most feelings. Cetta would like viewers to take time to contemplate and reflect on what they see and feel when observing her mosaics. 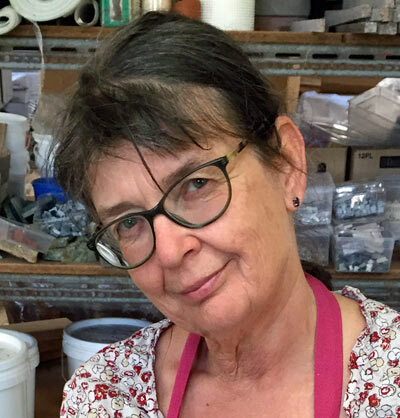 Her experience includes private and public commissions, regularly exhibiting, delivery of art based presentations and workshops throughout Australia, sharing her knowledge by conducting private and group tuition and overseeing a natural stone hand-cut tesserae store. The artists that influence Cetta include Anthony Pryor, Inge King, Marco De Luca, Bruce Armstrong and Antony Gormley. Cetta is an active member of MAANZ, Association of Sculptors Victoria (ASV) and Contemporary Sculptures Association (CSA). 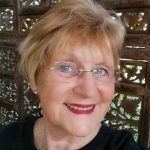 Bev graduated from a Bachelor of Teaching (Visual Arts) at Melbourne University in 1977 a Graduate Diploma of Early Childhood Education 1995 and worked as a Visual Arts teacher for 16 Years. Bev was primarily a painter but the greatest influence to start creating in mosaic was seeing the work of artist Antonio Gaudi in Barcelona in 1996. Bev created many mosaics in schools after this time. She then had a solo painting exhibition on the theme of “Reflection” that inspired her to leave teaching and start commission work. Since 2008, she has been specializing in large mural projects in schools, kindergartens and the community. Working together to develop mosaics that are harmonious in their environment. Bev’s paintings and mosaics, are greatly inspired by Monet and his experimentation. Pushing the boundaries, Bev is experimenting making “marks” in different ways and with different mediums to create abstract mosaics and paintings. She is currently experimenting with ceramic tesserae to create interesting, water environments. To create a “feeling” is her current form of experimentation. Bev is currently taking these ideas and using her own interpretation in a modern more abstract way. She is working to create a new exhibition entitled “Daily Transitions”, depicting different shades of light that transition from “Dawn till Dusk” on water. When you see Bev’s work she wants to provide an experience that makes you feel a connection between your mind and senses and physical being. She wants you to feel, touch, look, and interact with the work. Sometimes the work is moveable and interactive. Her aim is to ground your mind and senses. Sandy creates mosaic masterpieces for private commissions, commercial, gallery, community and public art. Her community projects/mosaic workshops are a testament to her dedication to share the joy of mosaics with people of all ages, at all places. “OzMosaics has everything for mosaics and I teach you everything you need to know to create mosaics” says Sandy. Her mosaic tips and tricks are plentiful across the mosaic board. 3D and thinset runs in her mosaic veins! Wine bottles are mosaic bounty, as are rusted items and slate. Thrift, dump shops and landscape yards are on the hit list. Sandy loves to create tesserae from the unexpected, combining with Dynasty smalti, glass, ceramic, stone, rock, mirror – whatever takes her mosaic eye. Her mosaic stash is legendary. Sandy, the China Whisperer, encourages students to “look beyond what you see, rawness, the inside out and the upside down”. Inspired by nature, travel, Cubism, the outback, her mind’s eye, dreams, people, storytelling and a vivid imagination, Sandy creates unique mosaics. Her mantra “to go against the mosaic grain” keeps Sandy “on the mosaic edge”, combining modern and ancient mosaic techniques, tools, substrates and materials to great effect. Mosaic projects are installed at Christmas Island, Norfolk Island, Queen’s Park, Australia Zoo, Hong Kong, Woorabinda, Theodore, University of Queensland, Brisbane City Council, Biloela, Marion Valley, Carseldine, Meandarra and Mundubbera, to name a few. Sandy is on Juiced at Lady Cilento Children’s Hospital in 2017 and her mosaic online school, The Mosaic Guru is under construction. Marian Shapiro makes original, hand-crafted, contemporary pieces using traditional techniques which push the boundaries of the mosaic art form. Originally trained in art and theatre in the UK, she became fascinated by the possibilities of the ancient art of mosaic and by the creative tension of using ancient techniques and traditional materials to make modern art, often working in series which allows her to explore a theme in depth. She has been a full-time working artist since 2003 and has participated in many group shows, two joint shows and had her most recent solo in late 2015 in Sydney. Shown and collected nationally and internationally, she has been commissioned by many private clients in Australia, the UK, USA and Canada and has several public and commercial commissions in Sydney. Her work has also been featured in a numerous books and magazines and on television. In 2016 she was a finalist in Mosaic Arts International, invited artist in Mosaic: A Passover Story at the Museum of Biblical Art in Dallas and was also honoured to be one of 10 artists invited to participate in the first International Symposium of Mosaic Art in Sardinia, Italy. Marian is a much sought after speaker and teacher. 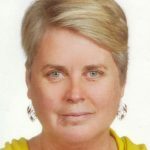 She has spoken and taught at several conferences and run many workshops in Australia, New Zealand, the US, Canada and the UK and frequently travels both nationally and internationally to teach. 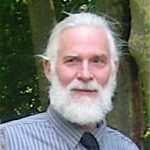 Solly earned a BS in Forestry in 1977, a PhD in Genetics, 1995, and was awarded two post-doctoral fellowships to study plant genetics. Since then he has been a biology professor whose passion for investigating the regulation of patterns in nature has spilled over into a passion for mosaicking those patterns. Solly finds inspiration from impressionist and post-impressionist paintings, especially those by Monet and van Gogh. Rendering one of Vincent’s paintings into a glass mosaic in 2009 marked the beginning of Solly’s pursuit of mosaic art in earnest. Light effects and texture reflect the artists’ influence on Solly’s work. Thus far, Solly’s mosaics reflect intimate and distant landscapes, largely devoid of the human touch, and usually relate to fire and water. He creates illusions of space with coloured pieces, relying on the human tendency to perceive meaningful patterns from chaotically laid tesserae. Solly devised his own methods, including a double reverse technique, through trial-and-error — and perseverance. To practise his methods, Solly persists in situations wrought with uncertainty. While a work is in progress, he plays with possibilities (e.g. colour combinations, transparency and type of cut), frequently asking the opinion of others — but always following his intuition. Solly’s works successfully compete with all media artworks in juried shows and galleries. 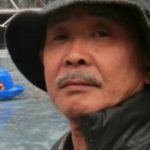 Nearly 2 years ago he found a way to use his experience teaching classroom laboratories with travel and art by offering mosaic workshops in the US and overseas. Through travel he gains inspiration from a diverse international community of mosaic artists.